The traditional Indian method of learning Sanskrit is through oral transmission, by first memorizing texts and then learning their meaning. The Western academic approach methodically teaches the alphabet, declensions, grammar, syntax, and vocabulary building. 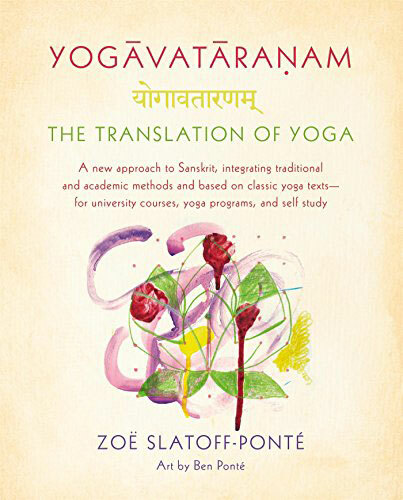 Zoë Slatoff-Ponté’s Yogavataranam integrates the traditional and academic approaches for a full and practical experience of Sanskrit study. Yogavataranam approaches language systematically and at the same time allows students to read important and relevant texts as soon as possible, while emphasizing proper pronunciation through its audio accompaniment. The first section teaches reading and basic grammar, the second covers more extensive grammar, and by the third, students can begin to read and understand even more complex texts, such as the Upanisads. In addition, Web-based audio files accompany each chapter to teach proper pronunciation. Namarupa It’s quite common for people to want to write books, but it is very unusual for someone to write an actual textbook. Where did the idea come from to write a textbook? 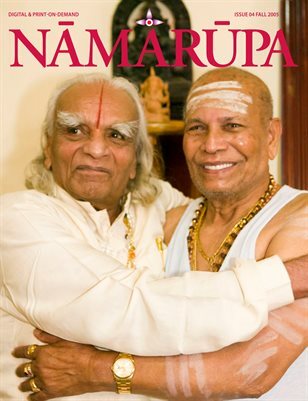 Namarupa You include a wide array of teaching tools in your book. Tell us about your thought process in including grammar, excerpts from Yogic texts, and art. When studying Sanskrit in India, it is a very sensory experience. The sounds, sights, smells, and tastes around you all become part of the language and the learning process. When I studied at Columbia, although in many ways I learned more quickly and thoroughly, it was a much more narrow experience. I felt lucky to have learned both ways and wanted to bring them together. In India, sound comes before meaning, and so the audio seemed essential. 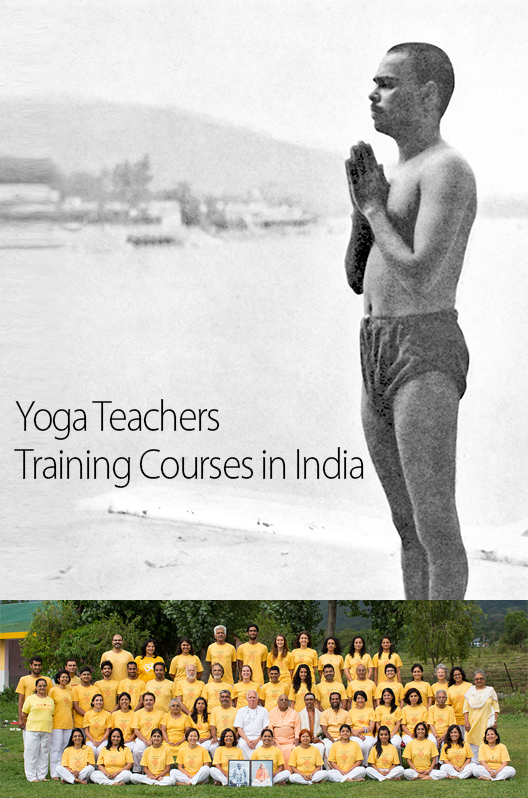 And I wanted students to be intrigued by the stories and excerpts of texts the way I was when Guruji would speak. For me, good translation is both respectful and creative – it is a continuous dance between the literal and the imaginary. As I was translating the verses for the text, Ben and I constantly discussed the nuance involved in translation and how best to honor tradition and yet make it understandable in a modern context and how to honor the meaning and grammatical structure and the poetry simultaneously. I was so happy for Ben to bring his own visual translations to life through the artwork. His paintings and drawings immediately invoke the sensitivity and layered approach that I try to explain in the text. They bring the stories to life in new ways and invite and draw the reader in to a magical realm. I hope that these various approaches help to inspire students to keep a multi-faceted perspective and to open their eyes and ears to the subtlety of the experience. Namarupa There are so many grammar rules – how important is it to learn them all? Have you memorized all of these rules? I think it is easy to get intimidated by all of the grammar rules, but I don’t think it is necessary to learn all of them in order to have a meaningful experience of reading and understanding Sanskrit. It is just important to learn to recognize the important rules and this is easier than it appears, as there are many patterns. I originally studied engineering and always loved math and science, and so that part of my brain was always happy to memorize rules. What I love about Sanskrit is that it brings that together with my creative and musical sides as well. Namarupa Where did you learn Sanskrit, and who were your different teachers? I started studying Sanskrit on my first trip to Mysore with Vinayaka, who was Lakshmish’s (who now teaches in the shala in Mysore) teacher. I remember learning the alphabet with great excitement and learning to read a bit. After returning home, I got myself a book and studied on my own for an hour a day for about 6 months at which point I got a bit discouraged without a teacher. I soon went back to Mysore and studied again for a few months, with Jayashree that time, I think. After returning home, I bought myself a new Sanskrit textbook and again studied for an hour a day for about 6 months. This went on for quite a few years and trips to Mysore until I had gone through all of the existing Sanskrit textbooks. I then decided to go back to school at Columbia, first finishing my undergraduate degree and then doing a Masters. My first professor there was Gary Tubb, a wonderfully inspiring man who allowed me to take the beginning and intermediate Sanskrit courses concurrently, since I was capable of reading, but my grammar had some holes in it. After he left to teach in Chicago, I finished my degree studying with Sheldon Pollock. 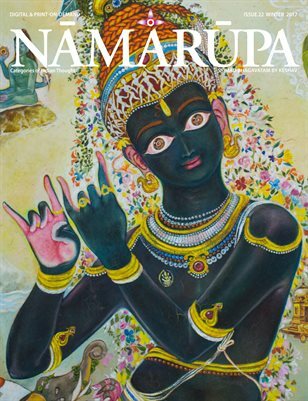 Namarupa Did they have different styles of teaching? And if so, what sort of lessons did you take away from their teaching styles? 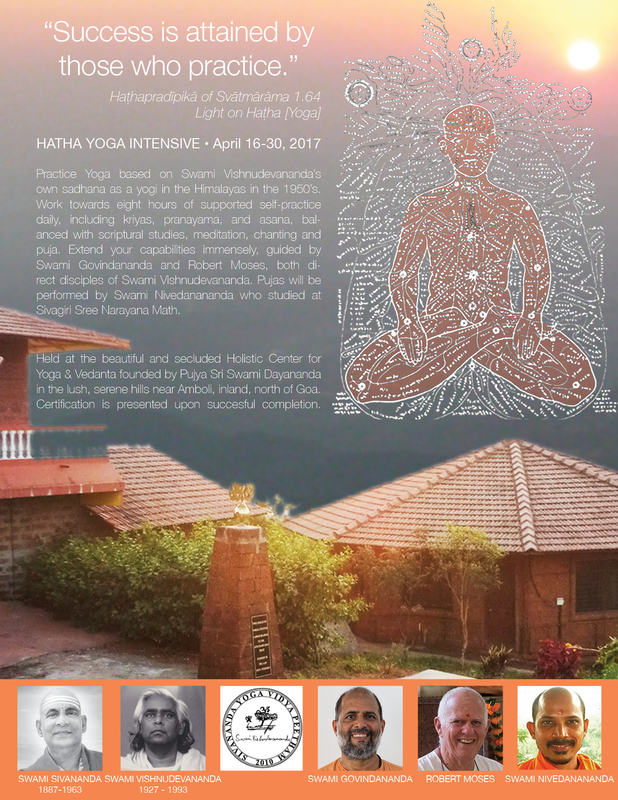 Namarupa There are obvious differences in how yoga and meditation are taught in India and in the West. Did you find that same thing with Sanskrit, notable differences between how it was taught at Columbia, and how it was taught by your teachers in India? From my teachers in India, I learned the importance of chanting. I learned to listen for meaning in the sounds and the importance of the rhythm in translation. At Columbia, I learned to pay attention to detail and the nuance of the grammar. I learned to read commentaries and understand the role that debate played in interpretation of primary texts. Namarupa Is there a daily Sanskrit studying practice, sort of like we have a daily yoga practice? Yes, I think Sanskrit is best studied daily, as with yoga practice. I think it is easiest first thing in the morning, when your mind is clear or as much as possible at a consistent quiet time. Even 20 minutes a day will help to keep it in your system and develop a sense of familiarity and fluency. Namarupa How long have you been studying Sanskrit? I’ve been studying Sanskrit for 15 years. Namarupa Do you speak any other languages, did learning language(s) come easily for you? I have always loved languages and they have always come pretty easily for me. I studied Hebrew as a child. I think when I first heard Sanskrit, the sound of the chanting reminded me of that. I’ve also studied Kannada, Japanese and French and a little bit of Hindi and Italian. 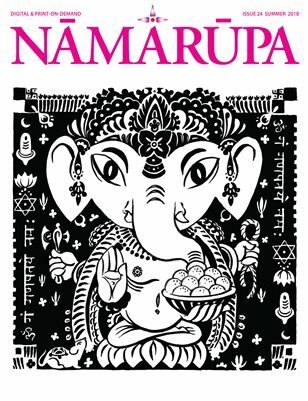 Namarupa Do you speak conversational Sanskrit? Not as much as I would like to. I’ve never had much of an opportunity for it. Namarupa How could a complete beginner begin learning Sanskrit from your book? The book is meant for students of all levels and I have taught many people from the very beginning from my book. If possible, it is of course always best to learn from a teacher. I teach Sanskrit classes here at our shala in a mixed-levels “Mysore-style” Sanskrit class. In the absence of a teacher, I think that a beginner could teach themselves from my book. The key is to just go slowly and spend some time learning the alphabet and listening to the audio recording. 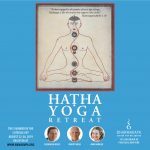 Right from the very beginning I introduce words that a yoga student is likely to know and the joy of deciphering words that one is familiar with and curious about brings the enthusiasm to keep studying. Zoë Slatoff-Ponté has a master’s degree in South Asian language and culture from Columbia University. Her thesis was a translation and exploration of a Sanskrit text on yoga and Ayurveda. She has practiced yoga since the age of fifteen; has traveled to Mysore almost annually to study at the Ashtanga Yoga Research Institute with Sri K. Pattabhi Jois, R. Sharath, and Saraswathi; and has been teaching for more than sixteen years. 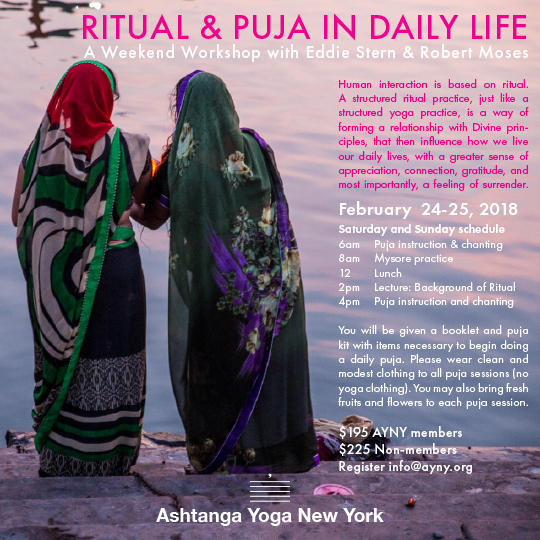 Her school, Ashtanga Yoga Upper West Side, is located in New York City.